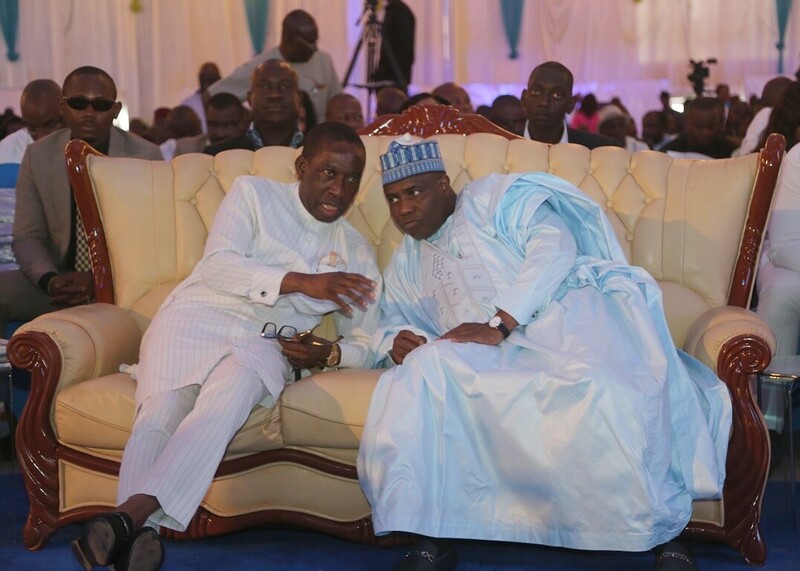 Delta State Governor, Senator Dr Ifeanyi Okowa and his Sokoto State counterpart, Hon. Aminu Tambuwal, have both advocated that dialogue rather than violent agitations would bring about speedy development of the country. The two governors made the submission on Saturday 27/08/16, in Asaba during the second day of the Delta State Economic and Investment Summit. According to the governors during the summit which was organised as part of activities to celebrate the silver jubilee of the state’s creation, the security challenges in the Niger Delta region in particular could not have degenerated to the situation where the country was losing huge revenue as a result of destruction of pipelines if the people involved had applied dialogue, noting that the region has great potentials for growth when the resources of the region is harnessed which can only be done in a peaceful environment. “I bring you felicitations from the Nigeria Governors Forum on your state’s silver jubilee celebration, Delta State is known for peace, and a lot can be achieved when dialogue is applied; I want to call on the youths of the Niger Delta Region to embrace dialogue and peace in their agitations, let us have dialogue on the various issues affecting the region; we need peace and tranquillity in the country so that we can harness all our resources for development; I urge the youths of the Niger Delta to engage the Federal Government through dialogue so that solutions can be found,” Hon. Tambuwal said. “A lot of the investment community are ready to partner with us to develop the state, but, we need to ensure that we sustain the peace and security in our communities so that investors can come in; it is not wrong to agitate but we can do that through dialogue, we will get better result when we agitate through dialogue,” the governor emphasised. While commending all the participants especially the former administrators and governors of the state for charting the way forward for the state, the governor called for the cooperation of all to provide an enabling environment for investment to thrive. Meanwhile, the Delta at 25 Economic and Investment Summit rounded up on Saturday 27th, with the merging of the the last two sessions; Ease of doing business and Infrastructure: Bridging the Ifrastructure Gap at the Sub-National Level. Frank Aigbogun, veteran Journalist and Publisher, Businessday Group of Newspapers, who moderated the two sessions noted that there was the need for Delta state to initiate policies and structures in critical sectors that would encourage investors key into and harness the vast human and natural resources in the state to create wealth for its citizens and improve the revenue base of the state. In his lead paper, Dr. Aminu Dikko, Director General, Infrastructure Concession Regulatory Commission, Abuja, highlighted the key areas wher the Commission had collaborated with state governments nationwide and while assuring that Delta state was well positioned to explore lucrative concessionary collaborations especially through its sea ports and the Asaba Airport amongst others, noted however that the state was yet to key into the federal government Concession structure, but was quick to affirm that the processes which had already commenced would be perfected after the Economic Summit to formally list Delta amongst the few states already integrated into the Concession programme. Responding to the moderator’s promptings on how the Justice Department has created an enabling environment for the Ease of Business in Delta state, the state Attoney General and Commissioner for Justice, Barr. Peter Mrakopr, said the several key measures, including the computerization of processes, upgrading of staff through proper IT training to ensure computer literacy for all staff and accelerating the process of settlement through arbitration instead of litigation, have all been established by the Ministry. Speaking further, Mrakpor harped on the need for mediation as a preferred means for conflict resolution and while noting that a system for the training of arbitrators and mediators has already been instituted, added that the Ministry has not only encouraged the use of Multi-door courts for litigations of Commercial nature for speedy resolution, but has equally advocated for specialized courts to handle specific matters, which would ensure that the process of rendering legal opinion must from the Justice Ministry be flawless. “Once we get the justice system right, every other thing will follow”, Mrakpor said emphatically. Addressing the same issue of Ease of Business, the Delta State Commissioner for Works, Hon. James Augoye, said the Ministry has in the last one year of the administration, concentrated on its key mandate which is roads contruction, by setting up a critical team of experts both n the field and offices to ensure that a hand-on approach is established and this has further been enhanced by the regular inspection of projects by the Governor to ensure that specifications were adhered to. Augoye, who affirmed that the Delta state government has so far awarded 46 road projects since assumption of office, out of which the Governor, Senator Ifeanyi Okowa has already visited 37 of them from commencement to completion, added that though the issue of engaging in the Public, Private Partnership, PPP and concessioning of any project by the state government, including roads, was the mandate of the Ministry of Economic planning, the Ministry of Works has however engaged in Project Financing, where contractors and the Ministry engage in a negotiated collaboration to ensure that critical road projects are delivered without delay and according to specifications. Professor Sylvester Monye, Special Adviser to the Delta State Government on Projects Evaluation and Infrastructure, in his contributions, noted that though the administration of Governor Ifeanyi Okowa inherited an empty treasury on inception, the Governor has, in the last one year, embarked on a re-engineering of the governance process anchored on integrity, which has not only brought transparency to contractual processes but has most importantly shored up investors confidence to do business with Delta and in Delta state. Monye, who highlighted some of the innovations including the Fasttrack Delta, which has ensured a positive reform and accelerated the processes of of land ownership, especially for investment, in the state; the Bidder Law which, which when it becomes legislation, would sanitize the bidding process and establish a one-stop shop of payment for contractors and investors, instead of the tedious run-around and multiple taxation associated with the former process, as well as setting up a robust and artculate Economic team without bias, to ensure that the formulation and endorsement of Economic policies for the state are not subjected to political and other external influences. Others who spoke include Chief Edem Bassey, the President of NACCIMA, who challenged Delta to explore and exploit its full potentials, Barr. (Mrs) Mary Iyasere, Delta state Commissioner for Commerce and industry, who encouraged investors to key into the opportunities Delta state was offering in areas, such as real estate for the construction industrial estates, agriculture and industrial parks, adding that the state has provided an enabling environment like adequate security, ease of acquiring land, ease of business registration and enforcement of conflict resolution structures in contractual agreements, equity commitment of government up to 20% in encouraging investors, and even the provison of long tax holidays for extended periods of investment for investors, amongst other. The list of speakers also included Mr. Chukwuman Monye, DG, Delta Economic Summit Group, who hinted that investor confidence in Delta has improved considerably, in response to Governor Ifeanyi Okowa’s ground-breaking transparency in handling policies on investment, Mr. Uche Orji, MD/CEO, Nigerian Sovereign Investment Authority, who highlighted some of the funding windows available for Delta state to exploit and Dr. Cheryll Hill, Chief Consultant, Integrity International Consulting Group, Washington, USA, who hailed the organization of the Summit and waxed spiritual by prophesying a glorious future for growth and investment in Delta State. Dr, Kinsley Emu, DDelta state Commissioner for Economic Planning, gave a concise report and review of the two day Economic and Investment Summit and while assuring that the state was already primed with Effective and visionary leadership, proper planning and policy execution, as well as a dedicated programme of diversification to break the mono-economy realiance and explore its human and natural resources, amongst other consensuses already been established by the Summit, noted that the areas of concerns highlighted by the summit would be appraised critically with the objective of addressing them after the summit. 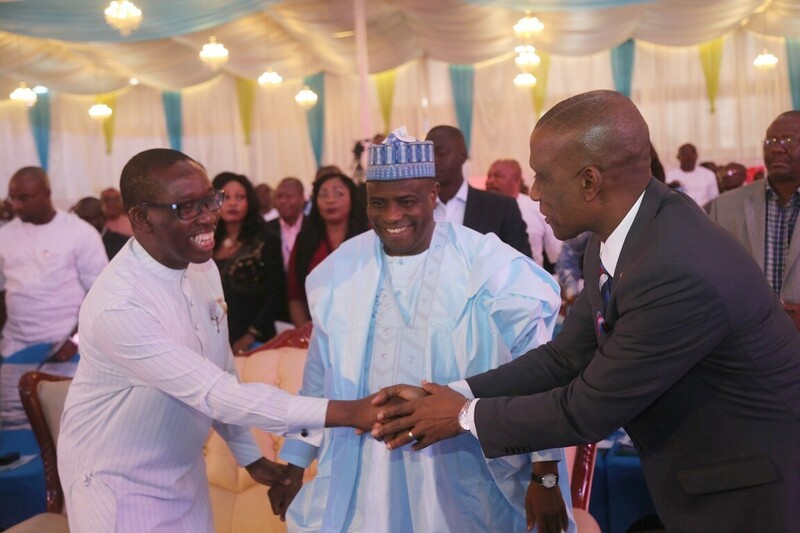 Delta state governor, Senator Ifeanyi Okowa, then delivered a befitting wrap-up of the Delta at 25 Economic and investment summit and while thanking all the participants from across the country and globally, who had braved the very inclement rainy season to enrich and benefit from the deliberations, affirmed the the crack team of rapporteus comprising seasoned Civil servants from the Delta Permanent Secretaries cadre including, Jerome Morka (Office of the SSG), Cornelius Semitoje (Water Resources), Eddy Ogigi-Gbegbaje (Government House), Ben Igho (Economic Planning), as well as Ms Tare Iyeri, Dep. DG, Delta Economic Summit Group and Ms Deborah Chekwuedu, DESG, amongst others, would perfect the Communique document of the summit which would then be circulated extensively in the public space for easy accessment. 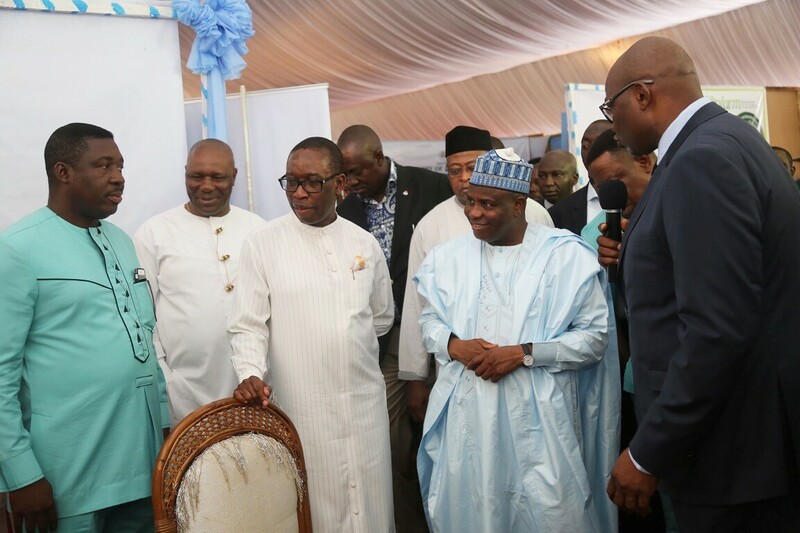 Governor Okowa then escorted the visiting Sokoto state Governor, Alhaji Aminu Waziri Tambuwal on a tour of the Delta at 25 Anniversary exhibition pavilion, where some Commissioners and heads of MDAs, including Barr. 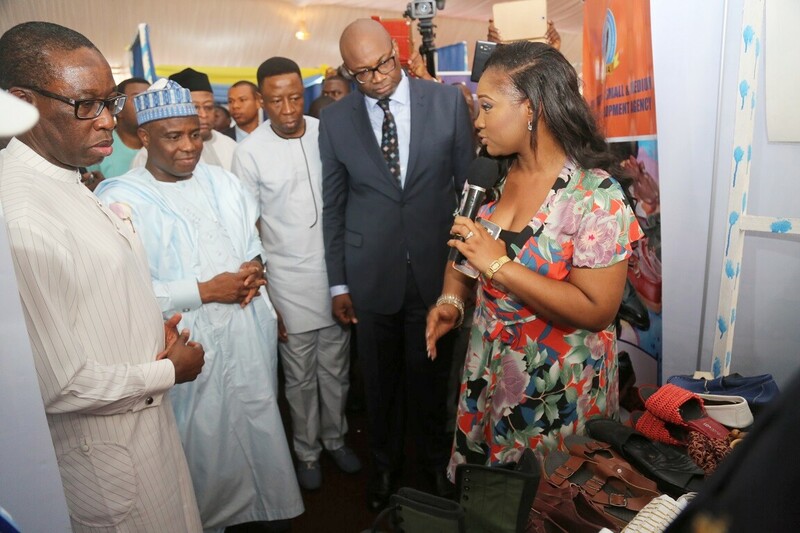 Ernest Ogwezzy (Culture and Tourism), Nicholas Azinge (Health), James Augoye (Works), Franc Enekourogha (Direct Labour gency) and Shimite Bello (Small and Medium Scale Enterprises, were on ground to explain the various products and services that were on display.